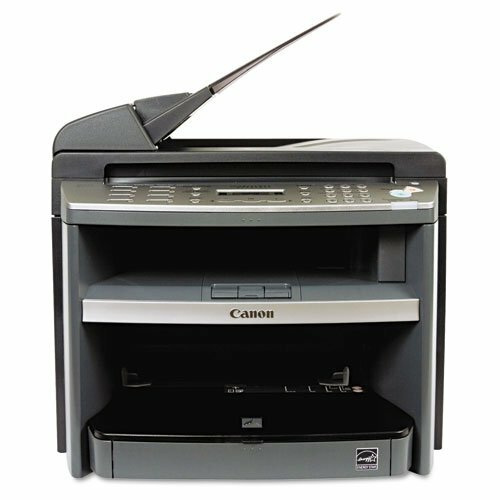 The Canon ImageCLASS MF4370dn, introduced in 2008, is a monochrome multifunction laser device designed to print, copy, scan, and fax at a relatively affordable price point. The ImageCLASS MF4370dn measures 15.4" by 21" by 17.9", remarkably small for a multifunction laser printer, and weighs 27.6 lbs without consumables installed, making it easily moved. It will likely fit comfortably alongside other equipment on a desk and will have no trouble at all sitting on its own table or upon a credenza. The MF4370dn's copier produces pages at a maximum speed of 23 copies per minute and supports a maximum resolution of up to 600 dpi. It can enlarge and reduce documents between 50% and 200% in 1% increments and has a 35-sheet automatic document feeder. It can produce copies of documents as large as 8.5" by 11.7" on its platen and up to 8.5" by 14" using the ADF. The printer prints documents at up to 23 pages per minute and at resolutions as high as 600 by 600 dpi with a maximum equivalent quality of 1200 by 600 dpi. 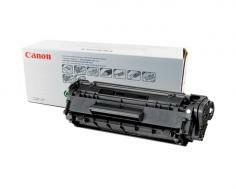 It uses a 100-sheet output tray and can be loaded with a maximum of 250 sheets of paper at a time. The scanner scans via a Color Contact Image Sensor and can produce scans at a maximum color depth of 24-bit. It supports the same document sizes as the copier listed above, and can output documents to JPEG, PDF, TIFF, or BMP formats. The buit-in fax transmits documents at a maximum speed of up to 33.6 Kbps and at a maximum resolution of 203 by 391 dpi. It has a maximum memory capacity of 256 pages as well as eight one-touch speed dials and 100 coded dials, and support for many receive modes: it can function as a fax only, a manual fax system, auto-answering, DRPD, or automatically switch between fax and telephone. It also supports Remote RX faxing, dual access, and two-sided output. The printer has a standard interface that connects via USB 2.0, and through it you can connect the printer to systems running Windows 2000 and up as well as Mac OS X 10.3.9 and up. These systems are also capable of connecting via Ethernet, though Mac OS X based systems cannot scan over the network using this device. A wireless interface is also available as an add-on. Duplex printing and copying is standard, though some users report that it can only be done in Windows due to driver limitations in Mac OS X. Network scanning functions at a considerably lower resolution than scanning over USB. Documents will only scan at 300 dpi, rather than their full resolution. The printer's paper capacity, 250, is half a ream of paper and cannot be expanded. Many small offices go through over a ream of paper in a day, and this could easily disqualify this particular printer from heavy office use. The printer does not have a manual feed select, a major inconvenience for users working in small-office environments that need to produce specific documents, such as checks or documents on irregularly-sized sheets, on occasion. Canon's included software is considerably more comprehensive for Windows-based environments than Mac OS-based ones, as is the unit's documentation. Like many other USB printers, no cable is included to connect it. This is not necessarily a con, but it is an inconvenience and worth noting. 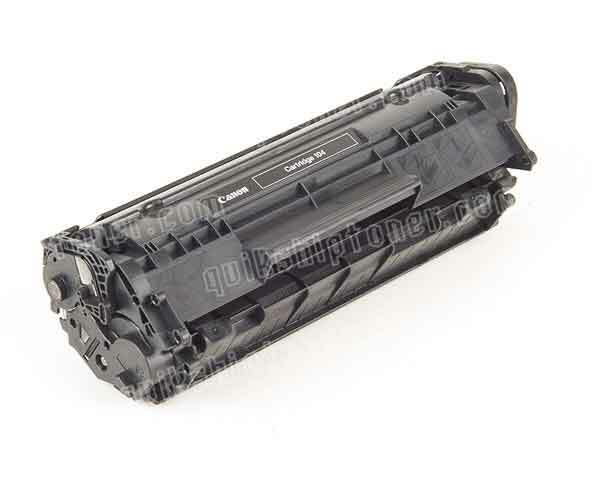 Review it: "Canon imageCLASS MF4370dn "
The ImageCLASS MF4370D has a black toner cartridge that requires replacement at every 2000 pages at approximately 5% page coverage. In order to minimize the amount of downtime produced by maintenance, the unit has all of its consumables -- toner, developer, and drum unit -- built into a single component, which is then replaced at every 2000 sheets. This considerably reduces the amount of maintenance, but it will bring up long-term costs, as drum units often last much longer than 2000 sheets in systems in which the components are not combined.